OXFORD, Miss. 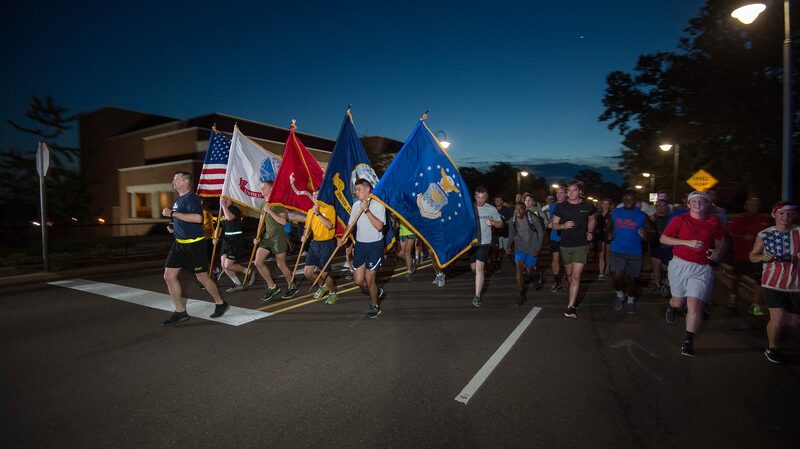 – The University of Mississippi ROTC programs host the annual 9/11 Memorial Run at 6:45 a.m. Saturday (Sept. 8) in remembrance of the Sept. 11, 2001 terrorist attacks on the United States. Nearly 3,000 people were killed in the attacks on New York and Washington. The run, which is in remembrance of the victims and first responders who came to their aid, begins in front of the Lyceum and continues to the Oxford Square and back. All local first responders and the public are invited to the run, which is open to anyone who wants to either participate or show their support by encouraging the runners. “The 9/11 Memorial Run continues to grow each year with more student organizations,” said Scott Caldwell, recruiting operations officer for UM Army ROTC. “Last year, we had members of the Ole Miss Rebelettes and increased fraternity, sorority and Oxford community participation. The university’s Army, Navy, Marine Corps and Air Force ROTC programs host the event each year. Ole Miss is one of the nation’s few universities to have all four branches of military service represented on campus, Caldwell said. The run is an important event that brings together all the ROTC military services and local first responders, he said. The route for the event will be different this year. “We will start at the Lyceum and run around the Square, but this year the endpoint is back at the Lyceum instead of the Grove,” said Cadet Justin Bush, a senior integrated marketing communications major from Brandon and the cadet public affairs officer for the program. Another change is that organizers are asking people to park at the Jackson Avenue Center by 6 a.m. so they can be shuttled at 6:30 to Paris Yates Chapel.